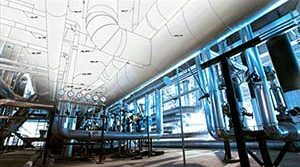 100-E Type Constant Spring Supports Custom Designed for a Power Plant in Canada | Piping Technology & Products, Inc.
PT&P custom designed and manufactured constant spring supports for a power plant in Canada. A total of four constant assemblies were fabricated from carbon steel. 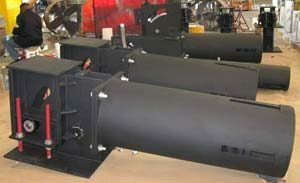 The customer designed with dimensions of 100-73-E, & 100-69-E with a thermo chemical process. 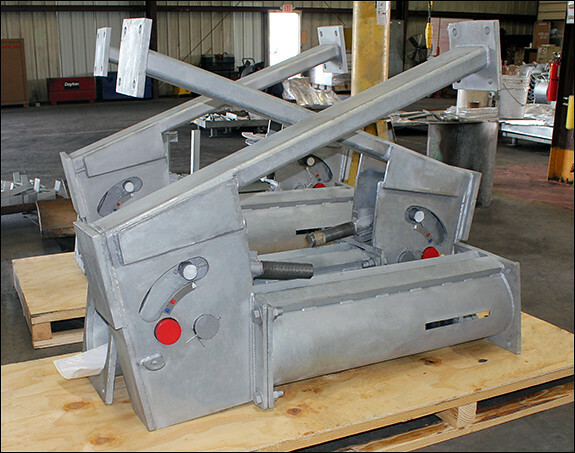 They are designed for operating load 21,600 to 26,350 lbs and operating movement of 3-7” of movement. Load and travel testing were performed prior to the shipment.